I highly recommend this book about the Benghazi attacks, especially if you are someone who has given the slightest credence to the right-wing claims of some sort of Obama/Clinton cover-up. (And right now it is FREE on Kindle–click on the link above.) 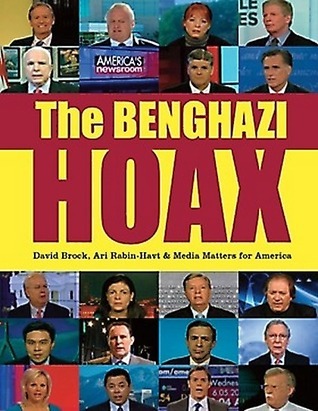 The book demonstrates clearly that the Benghazi “scandal” is a hoax perpetrated by the GOP–first to damage Obama in the run up to the 2012 election and then to damage Hillary Clinton, perceived by them (rightly so) to be the biggest obstacle to their reclaiming the White House in 2016. Benghazi was a tragedy. It wasn’t a cover-up. It wasn’t a scandal. It was manufactured by feckless idealogues out to “get” President Obama. The whole story is right here.